All photos by Nicole Franzen. DETROIT – Since opening shop in Detroit in 2011, Shinola has practically paralleled the rebirth of the once down-and-out industrial city. They started their business making American-born watches and in the last decade have expanded their offerings to include beautiful bikes, premium leather goods, and luggage. But they've just seriously upped the ante on the lifestyle game by opening a luxurious boutique hotel. 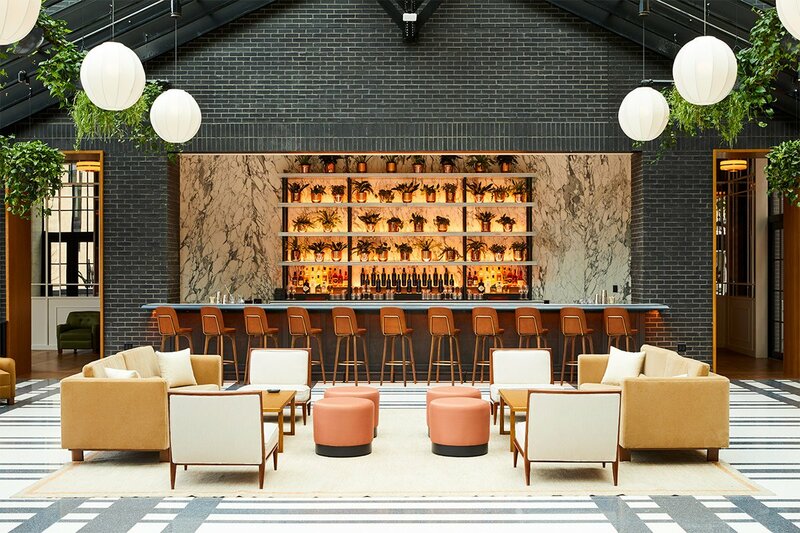 Located in the heart of the city’s historic Woodward Avenue shopping district, Shinola Hotel has been a hotly anticipated opening — for good reason. It occupies two restored buildings — the former T.B. Rayl Co. department store and a former Singer sewing machine store — and three new buildings, all developed by Detroit-based real estate firm Bedrock. 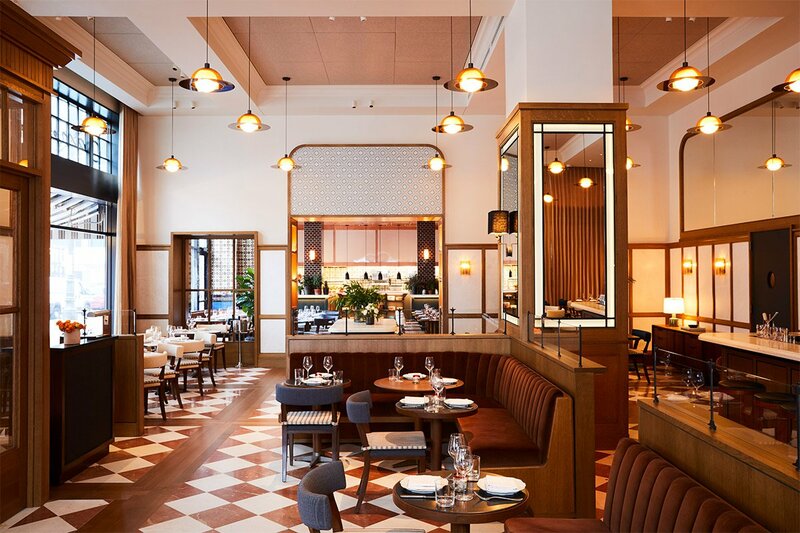 The interiors are by Gachot Studios and the food and beverage come from Midwest-native and NYC star chef Andrew Carmellini’s NoHo Hospitality Group. 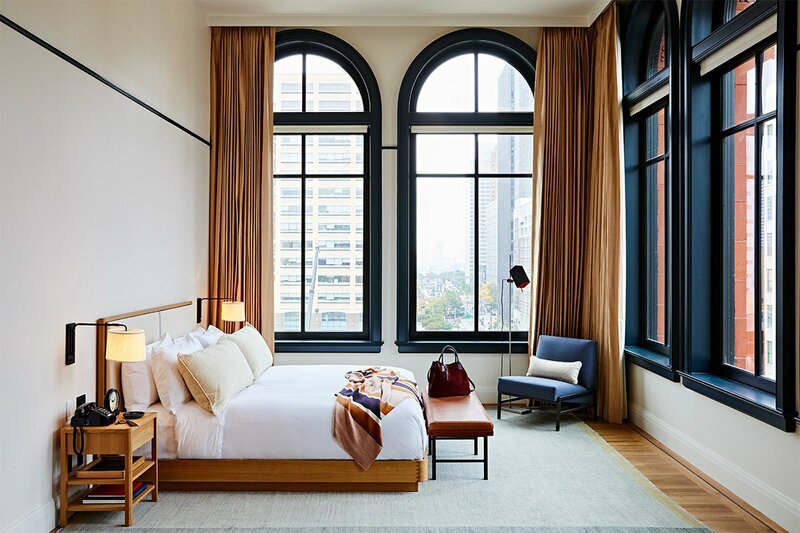 The result is not only the most stylish hotel in Detroit and one of the fourteen best hotel openings of winter 2019 — it's one of the best we've seen anywhere. 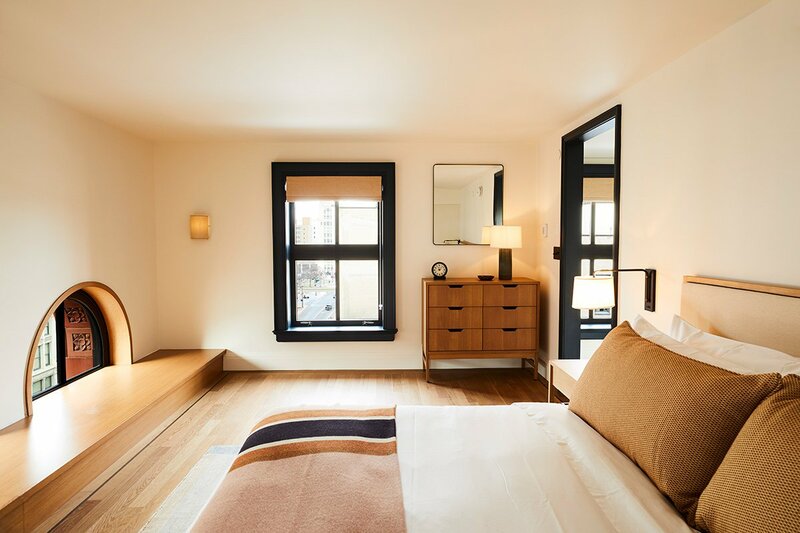 Staying here is the closest you’ll get to feeling like a model in a perfectly styled Shinola ad. The Birdy Room event space. 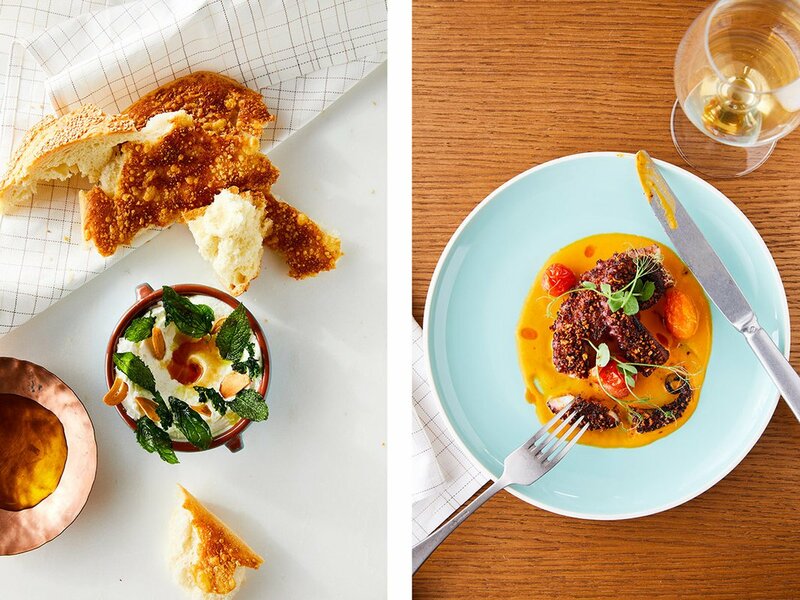 Ricotta and octopus dishes from San Morello. Rates change seasonally and start at $225 per night. Click here for reservations, or or contact the Fathom Concierge and we can plan your trip for you. 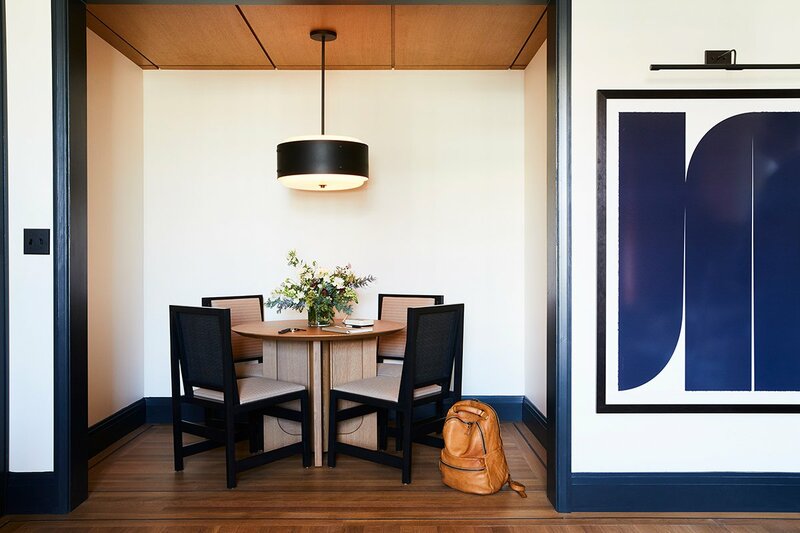 Vibe: The hotel feels like a warm and inviting pied-à-terre — the kind your favorite jet-setting aunt might have designed. Throughout the public spaces, Gachot Studios fuses bespoke and vintage furniture to great effect: a leather sofa here, a midcentury modern style chaise there, large art books everywhere. The result is a collection of spaces you won’t want to leave once you settle in. 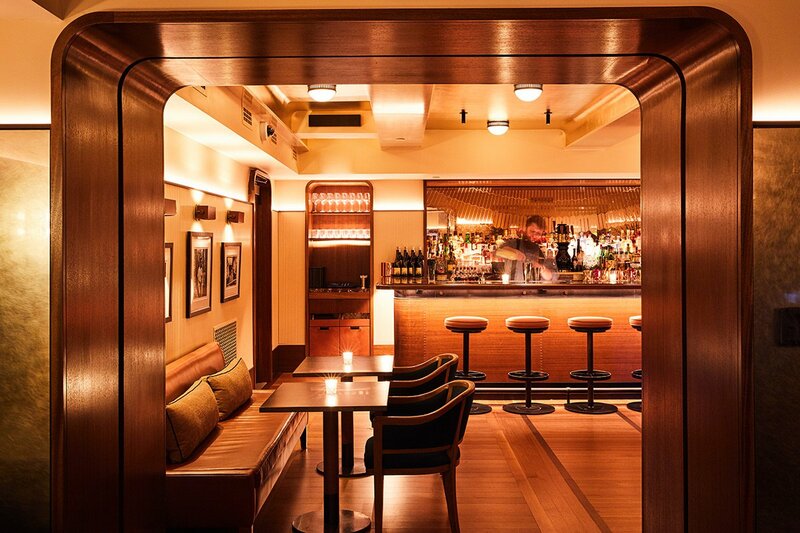 At the bar, the lounge, and the restaurants, you’re as likely to be sitting next to out-of-towners as you are locals having a great night out. Standout Detail: Curated by Detroit’s Library Street Collective and taking up almost every inch of wall space is a museum-worthy collection of contemporary art by local and international artists like Nick Cave, Charles McGee, Beverly Fishman, Hank Willis Thomas, and many others. 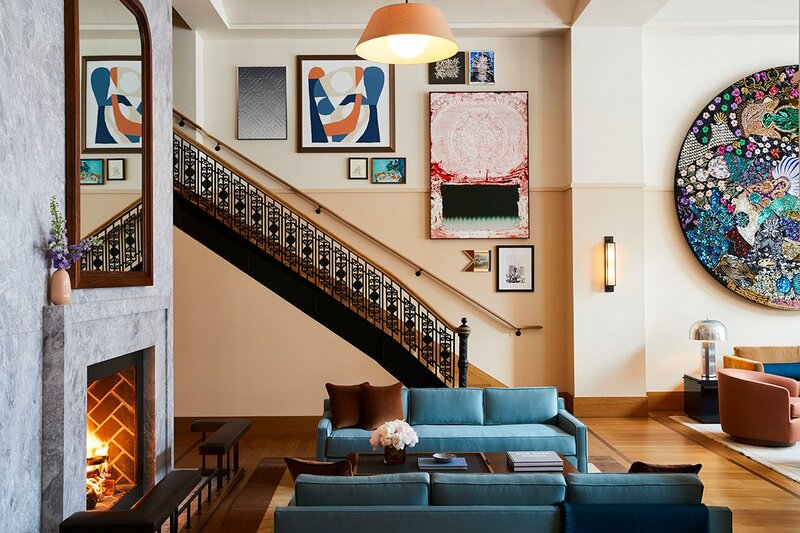 This Place Is Perfect For: Design and art fanatics, couples on urban getaways, execs on business trips, solo travelers on first-time visits to the city — dare I say just about everyone who loves a great hotel? Rooms: 129 guest rooms feature bespoke furnishings in wood and velvet, incredibly comfortable king-sized beds, well-stocked minibars, and just the right amount of product placement, from the desk clock and alpaca throw blanket to the candle and the artisanal soda that sits next to the turntable, itself a Shinola design. 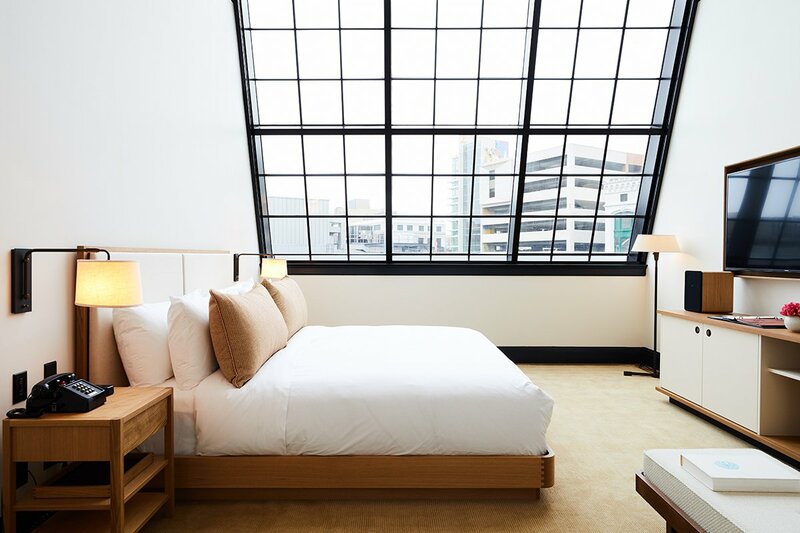 Staying here is the closest you’ll get to feeling like a model in a perfectly styled Shinola ad. On Site: The Living Room is a dream: If you’re on social media, chances are you’ll be spending a lot of time here photographing every nook and cranny, from the jewel-toned midcentury-modern sofas to the grand fireplace and amazing art pieces covering just about every inch of the walls. Upstairs are a handful of meeting and event spaces, including a ballroom for the kind of weddings you only see in the movies. A Shinola retail space accessible off the lobby or from the street sells almost every covetable item in your guest room, as well as watches, bags, wallets, belts, and pens. Food and Drink: Chef Andrew Carmellini of NoHo Hospitality Group leads the hotel’s strong culinary program, which opened with San Morello, a southern Italian restaurant that serves wood-fired dishes, pizzas, and housemade pastas, and Evening Bar, a classic American bar pouring seasonal craft cocktails. The Brakeman, a full-on beer hall with a rotating selection of craft brews from the Midwest, and a fried chicken spot called Penny Red’s, are both in the works. Detroit, the first U.S. city to earn the designation of UNESCO City of Design in 2015, was awarded $100 million by the Ralph C. Wilson Jr. Foundation last year, which will go toward funding two major green spaces near the downtown core. The first is West Riverfront Park, which many people in the know think will rival Chicago's Millennium Park. The second: The redevelopment of the abandoned Michigan Central Station into a research hub for Ford, led by the architecture firm Snøhetta, who will transform the historic building into a center for mobility innovation with retail, residential, and community spaces. Along with the hotel, both projects are poised to breathe new life into the surrounding area. For a perfect day in the Detroit of here and now, fuel up at Dessert Oasis Coffee Roasters, which pairs potent cups of coffee with sweet and savory pastries, check out the Diego Rivera frescos at Detroit Institute of Arts, spend a few hours exploring the botanical gardens on Belle Isle Park, and call it a wrap with an Old Fashioned or a few "dad cans" of beer (think Miller High Life and Strohs) at The Skip a few blocks from the hotel. Celeste writes about travel, architecture, food, wine, music, and culture for publications like The New York Times and Vogue. You can follow her on Instagram at @celeste.moure. She travels for the thrill of the unexpected.